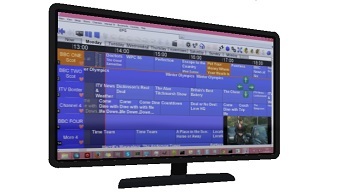 TV Card Software to watch and record Freeview, Freesat and Satellite TV on your computer or Windows tablet! 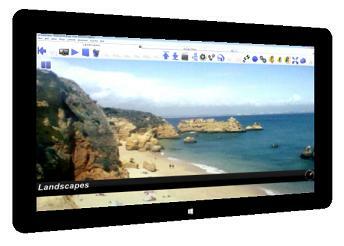 Imaging PVR - A great Personal Video Recorder for you! Imaging PVR is TV card software giving you super entertainment at a great price. Watch your programmes on your computer or the TV. Choose whether you'd like to watch Freeview (UK), Saorview (Ireland), DTT (Europe) Freesat, other satellite or some or all of them together. How do I use a TV card? Get a TV card if you don't have one already. A cheap one is fine as you won't be using their software. Install the TV card driver. You don't need the rest of the software. 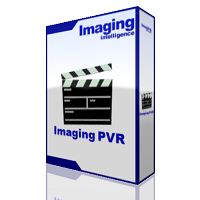 Download Imaging PVR software to run your TV card and get top quality TV and great features. For Freeview you need to connect to a TV aerial. Freeview TV cards are labelled DVB-T.
For Freesat you need to connect to a satellite dish. An old Sky dish works. Freesat and satellite cards are labelled DVB-S.
You can use an old laptop or computer that's Windows 2000, XP, Vista or 7 and watch on normal TV if you want. The standard is blue, but you can also choose olive, colourful, grey / white or grey / yellow. Select Setup > Appearance. You can also change the colours for the Show Library where the recordings are stored. Record up to 7 or more channels at the same time with one TV card. * You can add extra TV tuners to record even more. Choose to look at the programme guide and recordings library by category - 'film / drama, education / science' etc or by channel number and alphabetical order. 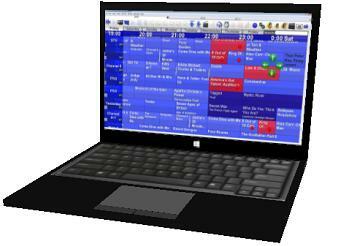 Use tabs to switch between TV programmes, the programme guide, recordings or Internet pages you're reading. Keep watching while you're in the programme guide and recordings library. Imaging PVR has features that others simply don't have. X Free of spyware or adware. PVR stands for a Personal Video Recorder. It is also sometimes known as a DVR - Digital Video Recorder. You use a PVR to watch and record television. 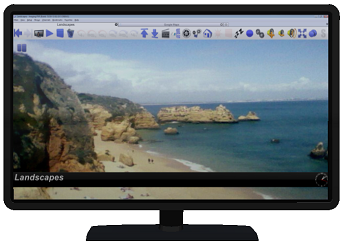 Imaging PVR is software for TV cards that gives you top features at a low price. Europe, Australia, South Africa, Russia, India, Middle East, Indonesia, Morocco. Where do I store TV recordings? Having a problem with TV recording quality? What do the icons mean on Imaging PVR? Copyright Imaging Intelligence 2016. All rights reserved.